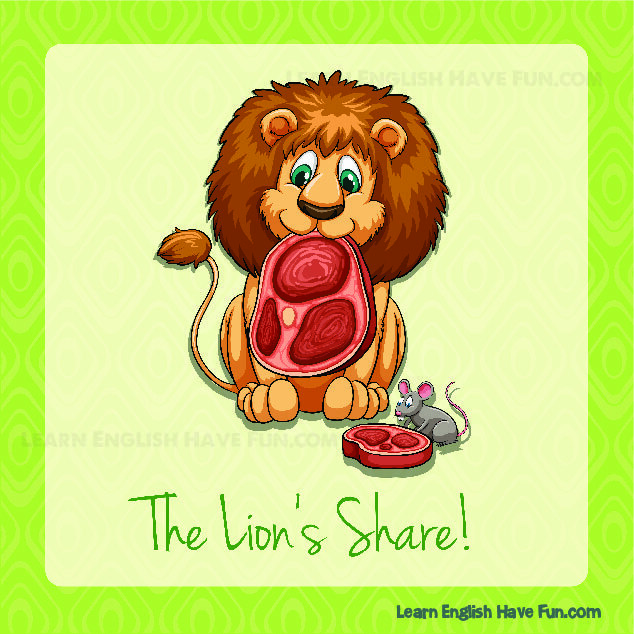 The lion's share: The largest part (or share) of something. It's important to notice that we are taking about the biggest part of something. We are not just saying that one thing is bigger than something else. We are describing something that has been divided up in a way that someone is getting the biggest part of that thing. So in this picture, we have a lion and we have a mouse. To say that the lion has the lion's share, we must understand that both of those pieces of meat came from the same, larger piece of meat before it was divided. Here are some examples to help you better understand. My son is upset that his brother got the lion's share of the cake but I explained this was fair because it was his birthday. My husband does help out at home with some cleaning and cooking, but like most women, I do the lion's share of the housework. There aren't any more highlighter pens left! I know, the boss' secretary took the lion's share of the office supplies. Even though my sister is the skinniest, she always eat the lion's share of the pizza. The lion's share of my paycheck goes to meals and drinks out because I hate to cook and grocery shop. The lion's share of the budget is spent on salaries and benefits. I wish my father would eat the lion's share of the vegetables. My husband spent the lion's share of our vacation in the hotel room working at the computer. Were those examples helpful? If not, ask a question below so I can try to clarify the meaning. 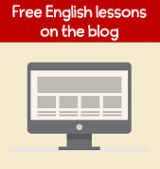 If you found this idiom useful, sign-up for my free newsletter to learn about new idiom updates and other information added to my website. Okay, it's your turn to practice using this idiom. Practicing by trying to create your own example will definitely help you to remember this idiom in the future.